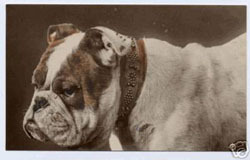 What REAL BULLDOGS looked like 100 years ago!!! 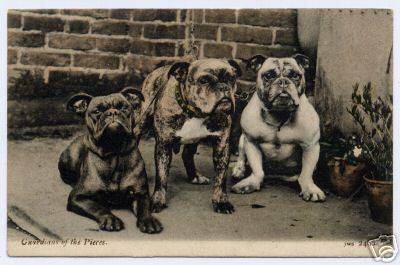 The Olde English Bulldogge originated in England between 1600 and 1700. 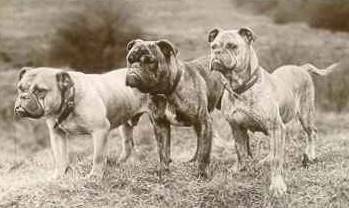 These were the early ancestors to many of the Bull breeds that exist today including the English Bulldog and the American Bulldog. They were bred to participate in blood sports like bull baiting. This so called sport, became quite popular in England through out the middle of the 18th Century. Bull baiting primarily consisted of staking out a bull and allowing several Bulldogges to attack it. A dog of great courage and agility was needed for bull baiting. 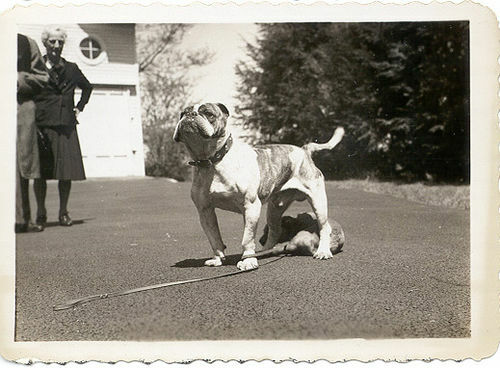 This dog was of medium size; larger dogs were considered to be the result of mastiff crosses. Around 1835, laws were passed in England prohibiting bull baiting and the Olde English Bulldogges main purpose of existence vanished. 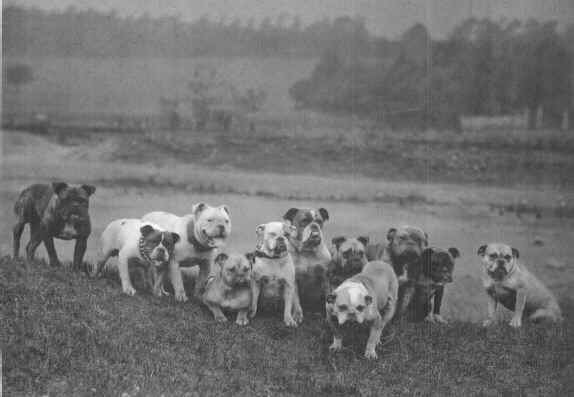 Within a decade the numbers of bulldogs declined drastically almost to extinction. 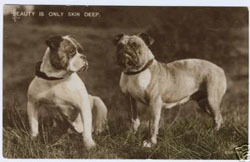 Dog show fanciers eventually decided to reconstruct the breed, but wanted to tone down the aggressive temperament of the original Olde English Bulldogge. 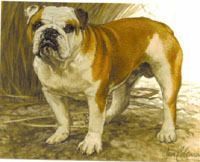 They crossed the remnants of the existing stock with the pug and over the years that followed they developed the modern English Bulldog. Though we can not deny the history of these wonderful dogs and we must respect such an animal that had such tenacity. It is through much of the loyalty and devotion bred into these dogs that gives us the loving and loyal companions we have today. As time moved forward dog fanciers had local shows and this became very popular. A way to channel constructive energy and provide entertainment. It was in these times the dogs structure and apperance would now begin to change to the desires of the dog fanciers. This was the first step in breeding for looks or away from function. In the late 1800 to early 1900 the dogs structure began to widen 'standards' were started in it's earliest of forms. These same man made standards would radically change the breed in many ways unforseen at the time. The fanciers now had something to breed to and kennels would begin to follow suit. 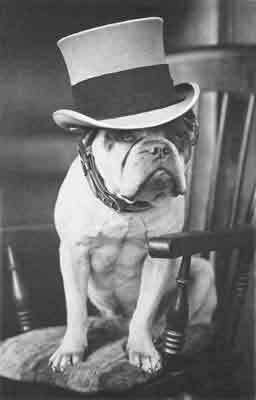 If we follow the course of the Bulldog we see it just deteriorate over time to a modern day dog plagued with health issues. Though 50 years doesn't seem like a great stretch of time, in dog years it's a great length of time. Even in human years it is a signifigant amount of time. Just think of how many advances you have seen or can name of in 50 years. Look at how much the internet has changed your life (good or bad ). 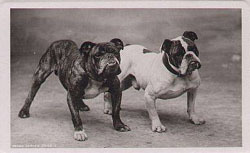 The IOEBA's detailed breed standard is the best guide as to what the perfect Olde English Bulldogge should look like according to the International Olde English Bulldogge Association. It is recommended that it be used by today's Olde breeders in an effort to maintain the high standards that the breeders of the past and the IOEBA have set fourth.